The political culture that allowed Khan’s victory in London is sadly lacking in Pakistan. Sadiq Khan’s ascendance to power as London’s new mayor is an extraordinary story born of an appreciation of cultural and ethnic diversity and, above all, the acceptance of and respect for different faiths. In Pakistan, Khan’s win has drawn great interest, only because he happens to be a Muslim and that too of Pakistani origin. Khan’s Pakistani background could very well be described as a coincidence: With the same faith, he could have born in India or Afghanistan, or any other country for that matter. The celebrations for Khan in Pakistan and unwarranted criticism for his defeated Conservative rival, Zac Goldsmith, at the same time, reveal a deeper hypocrisy about the Pakistani political elite, which can be seen as spilling out in the country’s constitution. While in Britain, political parties are run as an institutions, in Pakistan they are largely considered family enterprises. Mostly, political parties in Pakistan seem to operate around personalities rather than ideologies. In such an environment, a person who comes from a background similar to that of Sadiq Khan could not even dream of running for mayor of Islamabad, let alone win. While the United Kingdom allows Muslims, who are a minority there, to hold high political office, including become mayor of the country’s cosmopolitan capital, minority religious communities in Pakistan are barred constitutionally from running for similar positions. 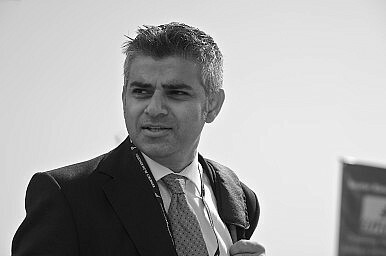 “A Sadiq Khan story is not unlikely in Pakistan — it is constitutionally impossible. Minorities are barred from holding the presidency (Article 41); they are also barred from holding the prime minister’s office (Article 91),” the Express Tribune reported. The political leadership in Pakistan has done little to actually bring any comprehensive reforms for the protection of minority rights. “I don’t understand why politicians in Pakistan are celebrating the victory of Sadiq Khan. Are they willing to elect a Christian, a Hindu or a member of any other minority faith in their own country?” said Adnan Ali, while speaking with The Diplomat. “Muslims in Pakistan should examine Sadiq Khan’s positions and his stature. This is the kind of pluralism we should assure for our people here,” said Mosharraf Zaidi. The Islamization of the country, lack of state and institution building, rising social and economic inequality, and rampant corruption have virtually shut the doors of fairness and equality, which led Sadiq Khan to victory in London the first place. Due to the decades-long, state-led projects to define and enforce faith and culture for Pakistan’s citizens, Pakistani society has become deeply radicalized. Extremist groups are always attempting to marginalize moderate voices. One recent example of this unfortunate truth is the death of Khurram Zaki, a human rights activist who belonged to a Muslim minority sect. Zaki was gunned down hours after hailing Londoners for electing Sadiq Khan as their new mayor. The overwhelming response to Khan’s win was due to his roots, which originate in Pakistan; not many people in Pakistan are aware of his political stance on different issues. Khan’s support for gay marriage, for which he has received death threats, would effortlessly and immediately qualify him for public stoning in Pakistan, for example. Among other problems, minorities in Pakistan have been downgraded to the status of “second class citizens” and are considered inferior to Muslims. It all comes down to a basic question: If Sadiq Khan, as a member of any religious community, was in Pakistan today, would he have the same chance of winning he had in Britain?